WHAT IS LEMAN ACADEMY OF EXCELLENCE? 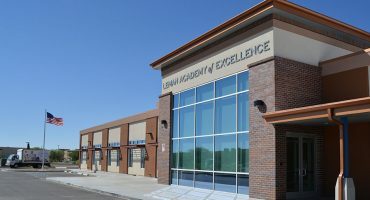 Leman Academy of Excellence is an independently operated, tuition-free public charter school with open-admission policies. The foundational principles for the educational philosophy of Leman Academy of Excellence has been formed and established by Dr. Kevin Leman, the founder of the school, who has often dreamed of launching a school and learning environment for young people that willingly engages and embraces parents in the educational process, highlighting the parent-teacher-scholar relationship to bring out the best in each and every child. There is no entrance exam for admission to Leman Academy. Dr. Leman in his own words explaining his vision for the school. Hear from our Head of Schools about the details of a day at Leman Academy. Board meeting notices. All notices will also be found on this site. All notices include the date, time and place of the meeting, as well as how the public can obtain information about the agenda. The Board meets quarterly on the 2nd Thursday of September, December, March, and June, unless otherwise noted.